And some there be, which have no memorial; who are perished, as though they had never been; and are become as though they had never been born; and their children after them. But these were merciful men, whose righteousness has not been forgotten. Robert Bartlett: I see myself more as a collector than a writer; a collector of fragments of fact that would otherwise be lost because no one else would trouble themselves to write them down and pass them on to the next generation. 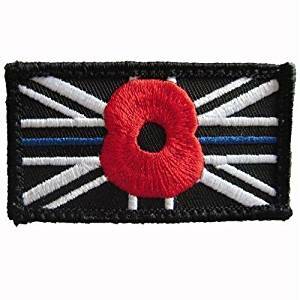 The purpose of this site is to encourage the interest in the policing of Surrey in what was to become the area outside the Metropolitan Police District. The site will cover the period before the new police and after the formation of the Surrey Constabulary in 1851. 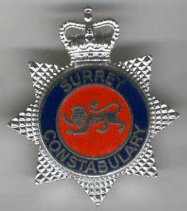 An arbitrary cut off point is 1992/1993 when the name of the Surrey Constabulary was dropped and the new title Surrey Police adopted. The site will also feature the old police forces of Farnham, Dorking, Godalming, with Guildford and Reigate boroughs. It is hoped that readers will make contact with the editor giving details of any research they have undertaken they are prepared to share, information on police officers who served in the constabulary and anything else associated with the policing of the county. The contact form is at the bottom of this page and on receipt the editor will respond. Below is a large collection of pictures that can either be looked as a slide show or fast forwarded by clicking the arrows on the right of the picture. I have not yet added descriptions but to those who served the vast majority will be self evident. If you have any photos you can send me by JPEG they will be well received as will any documents associated with our history. Material is used from a variety of sources and is acknowledged if that proves not to be the case please make contact and this will be redressed. Click on the British Pathe' News logo to view numerous news reels on policing between the 1890's and the 1970's.